For 11 years the clock has been ticking for Russell Gaines as he sits in Parchman Penitentiary in the Mississippi Delta. His sentence is now up, and he believes his debt has been paid. But when he returns home, he soon discovers that revenge lives and breathes all around him. On the same day that Russell is released from prison, a woman named Maben and her young daughter trudge along the side of the interstate under the punishing summer sun. Desperate and exhausted, the pair spend their last dollar on a room for the night, a night that ends with Maben running through the darkness holding a pistol, and a dead deputy sprawled in the middle of the road in the glow of his own headlights. With the dawn, destinies collide, and Russell is forced to decide whose life he will save - his own or the lives of the woman and child. An Audible reviewer that I follow [Ted] once wrote that a book he'd just finished was "average--and that ain't bad," loosely paraphrased. You read enough new releases and you're going to read a lot of average books -- and that ain't saying anything bad. DR is predominantly a plot-driven book placed in a small town in Mississippi -- Faulkner's Mississippi where “the past is never dead. It's not even past.” You feel it coming...backwoods swamps, desolate farmlands, oppressive heat, a town where the air is thick with the ghosts of a violent past. The locals have long and unforgiving memories (as do most inhabitants of this genre) and a seeming prerequisite thirst for bourbon, beer, guns and revenge. Women don't fare well in this environment, neither do children and a good portion of the local law enforcement. 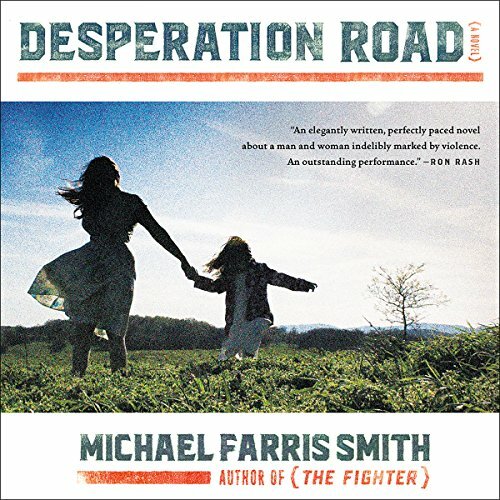 Smith's characters, Russel and Maben, are memorable down-and-outers thinly drawn, filling out as the story evolves; two burning fuses on the opposites sides of the same keg of dynamite. Smith carves out a respectable story in this country noir genre, but not on the level of Woodrell, Burke, or Rash. It's pulse-quickening, it's a page turner, but it's predictable. It was hard for me to like these two, beyond the pity one naturally feels for two such wretched souls, because their souls seem to have been extinguished. They were unredeemable. Both characters are introduced at a critical and desperate juncture in their lives. Russell is coming home after serving 11 yrs. in prison for manslaughter. Drunk driving. Maben is on the run from the law and her conscience, years of being a bad mother to her little girl, and a murder (won't spoil that revelation). When faced with the opposition that tries their new dedication to shaping a better future for themselves, neither are capable of shouldering the responsibility for their actions. (In fairness, they do face some mighty formidable, even life-threatening obstacles.) Blaming external forces, each seems condemned by the psychic wounds from their past to traveling the same dead-end road, dragging along the innocent bystanders. And that's always the problem with blame and justifying your actions: consequences. This was recommended to me by Audible. Noticing the high opinions and good reviews on this book, I had to wonder about my own opinion. I guess it comes down to the numbers, the mean numbers and values. You read a lot of books and a few stand out as great, a few as real bombs, and the rest hover in the middle -- average, and that ain't bad.